Scientists discovered a giant hole under Antarctica that will likely collapse a huge chunk of ice and dramatically raise global sea levels, flooding coastal towns in the next 50 to 100 years. 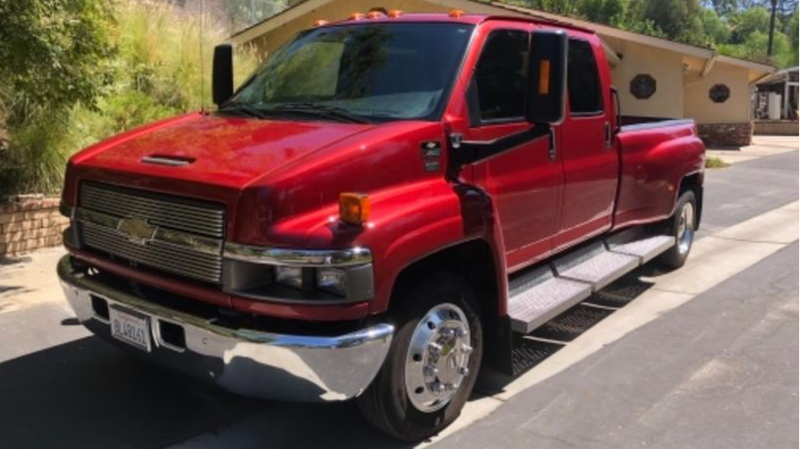 Who cares, at this point, if you drive a giant diesel Chevrolet Kodiak C4500. Let me be clear—I do not want to suffocate and die. Not by polluted air, not in any of my personal relationships, and certainly not under a wave of sea water down 5th Avenue. But the Chevrolet Kodiak C4500, and its sibling GMC TopKick, have technically been out of production since 2009 . On the commercial side, they served society as hardworking dump trucks, plow trucks, school buses, and the sort. But a batch of them were also sold as giant street trucks, modified from the factory by a company called Monroe Truck Equipment. This one, listed on AutoTrader for $53,500,is a red Kodiak model that’s rear-wheel drive with 48,000 miles on the clock. The listing claims it’s a six-cylinder diesel, and there were a couple different ones available. This could be the 7.2-liter Caterpillar I-6 or the 7.8-liter Duramax-badged Isuzu 6H. Either of the two offers plenty of torque to motivate this monster. Car And Driver called the Kodiak and TopKick an “almost rational” decision compared to a Hummer, so move now before the next recession hits and gas isn’t cheap anymore. This could be our last chance.